This is the place where you go to become a thief, which requires being at least level 10. It is located on the northwestern side of Victoria Island. This is the most urban town in Victoria Island, hence its name. In JapanMS, Perry the Pelican can take players from Kerning to Zipangu. 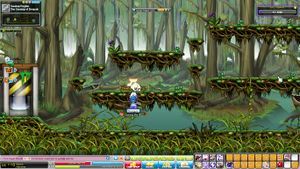 Maps are heavily altered to ease Maplers to walk. This is the hideout place for Dual Blades, which is accessible via a portal outside the Dark Lord's place. Lady Syl, the creator of Dual Blades, can be found here. The 2nd Job advancement takes place here too. Outside of the town, there are a number of construction sites and partially completed buildings, overrun by monsters. There are Orange Mushrooms and weird purple Octopi. Kerning's most popular training area is in the Subways. It is also the host to three Kerning Jump quests. The first map, as would be expected, is populated by the flying enemies, Stirges, however they can pose quite a threat to players that cannot deal enough damage to knock them back. The next map is filled with Stirges and Jr. Wraiths. At this point, called the Transfer Area, the path splits into 2 lines (Line 1 and Line 2). Both routes are similar, featuring Jr. and the "senior" Wraiths. The monster Shade spawns at the end of both lines. In TaiwanMS, a subway train that departs from Kerning can take players to Ximending, the main Taiwan town. 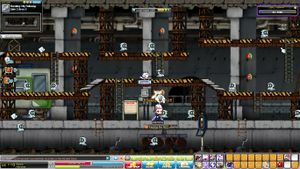 In GlobalMS,TaiwanMS, MapleSEA and EuropeMS, a subway train that departs from Kerning can take Players to New Leaf City. The Kerning Swamp is accessed from the sewers in town. 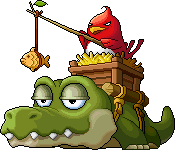 It has the enemies you would expect in a swamp, such as snakes and alligators. When one goes deeper into the swamp, he/she will encounter crocodiles as well. In some versions, a boss monster, called Dyle, spawns here in the middle of the swamp. It is an enormous alligator with a bird riding on it's back. To see the NPCs, visit this page. This page was last edited on 23 November 2018, at 01:31. This page has been accessed 133,526 times.